Early last week I viewed several current gallery exhibits which I’m going to share the landmarks to so you can enjoy them as well. 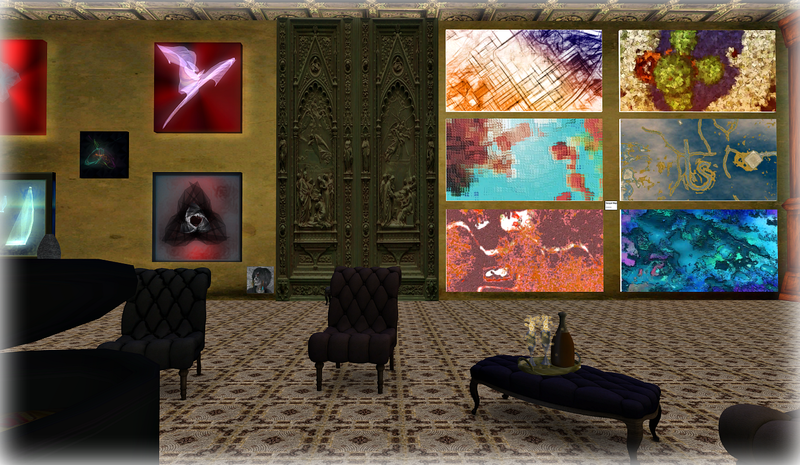 At Gallery 23 at Virtual Chelsea Hotel six artists are showing work through August. On the left in the photo above is shown work by Pepper Chaffe. On the right are Decayed Maps by Klaus. Other exhibitors are Jim Garand, Gjo Bing, Pi and John B. 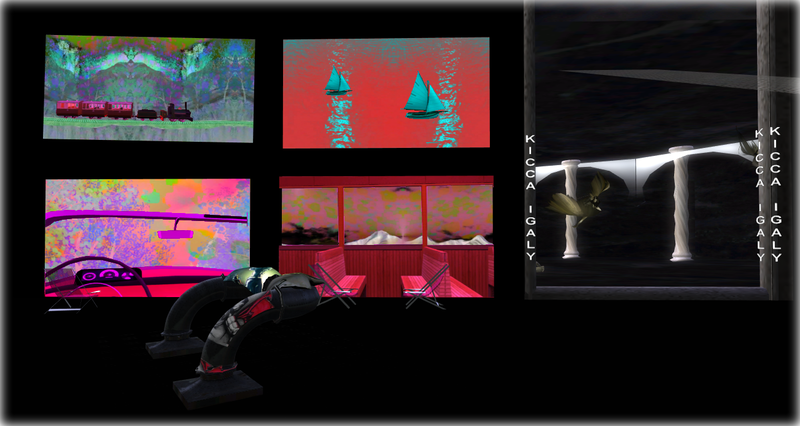 At La Maison d’Aneli in Virtual Holland through August are works by Kicca Igaly, Red Bikcin, Vonniethefox, Terra Merhyem and Rage Darkstone. 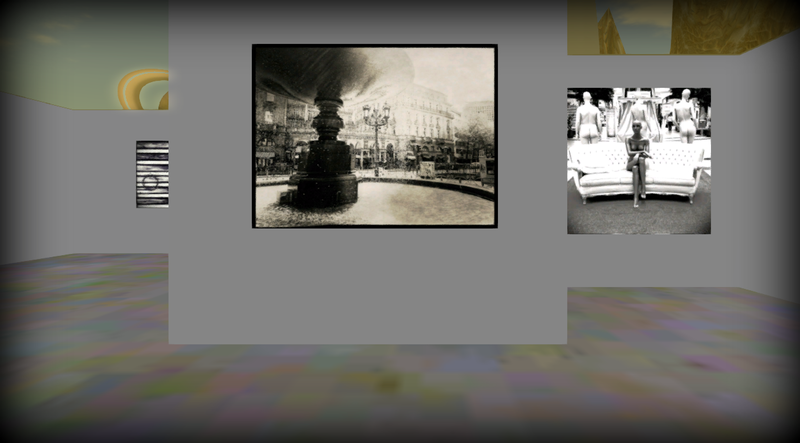 The photo above shows art by Vonniethefox with a glimpse of Kicca Igaly’s in the background to the right. The colorful pieces by Vonniethefox are animated and I find them delightful. ‘Absences’, a photo exhibit by Melusina Parkin is at Nitroglobus Roof Gallery. The sculptures are by Nitro Fireguard. At the AiR Gallery of InterstellART is Pieces of a Whole by Wintergeist. There are colorful pieces exhibiting too, not shown in my photo above.